An Easy to Build Short Wheelbase Racing Bike. The Spirit is a lean mean two wheeled speed machine that you can build in a few weekends on a shoestring budget. 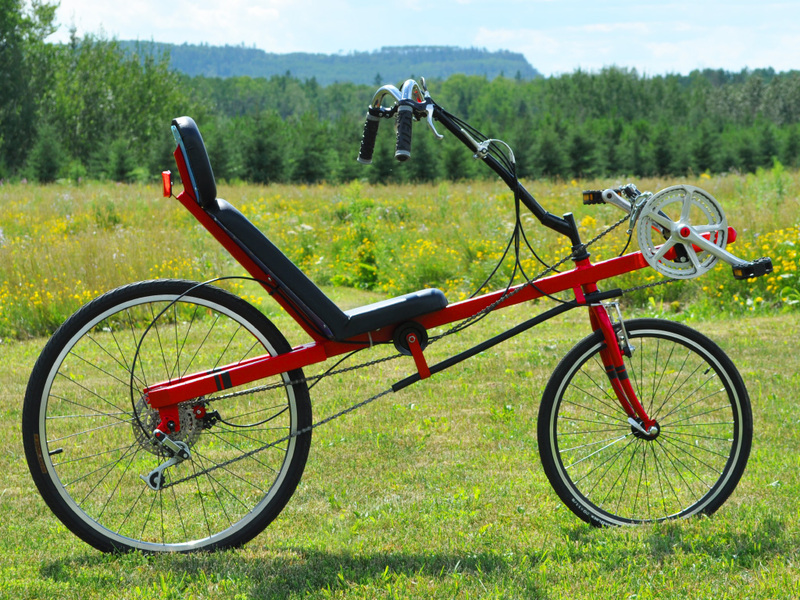 Using only basic tools and commonly available bicycle parts, you can roll out of your workshop on a cool DIY recumbent bike. There are no machined parts, and the plans show you every single step of the build, with no experience required. 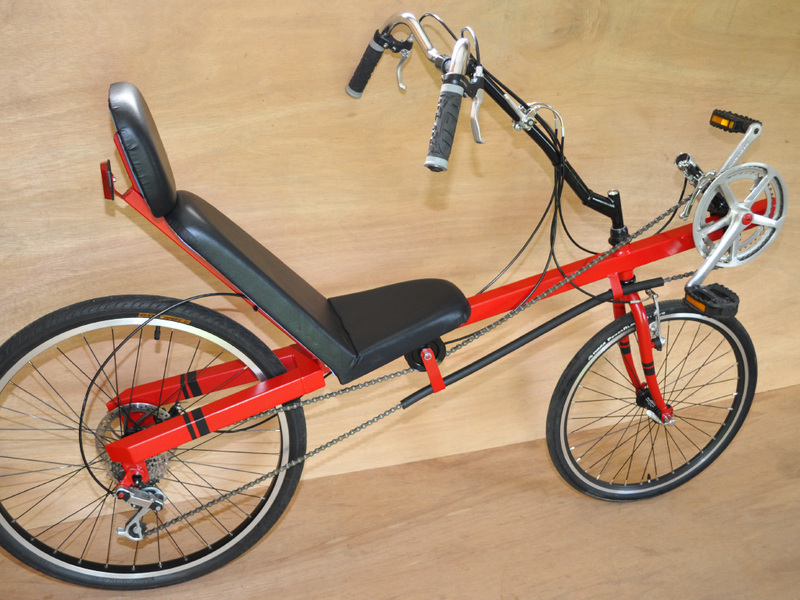 A short wheelbase recumbent bike is the most compact type of recumbent bike, placing the cranks ahead of the wheel for the shortest possible frame. This configuration lends itself well to speed and lightweight construction. You Only Need Simple Tools and Parts to Make Yours. We design our plans so that anyone with a small budget can succeed using only basic tools and parts. Most of what you need can be salvaged from a single bicycle, and the rest of the parts can be found at the hardware store. Only common bicycle parts are used, and the the frame is made from basic steel square tubing. No experience necessary to build! The square tube frame is very easy to cut and weld, and it is described in great detail from begging to end in our photo intensive plan. This DIY plan is a good start for those just entering the bike building hobby. Never Slow Down For Corners Again! 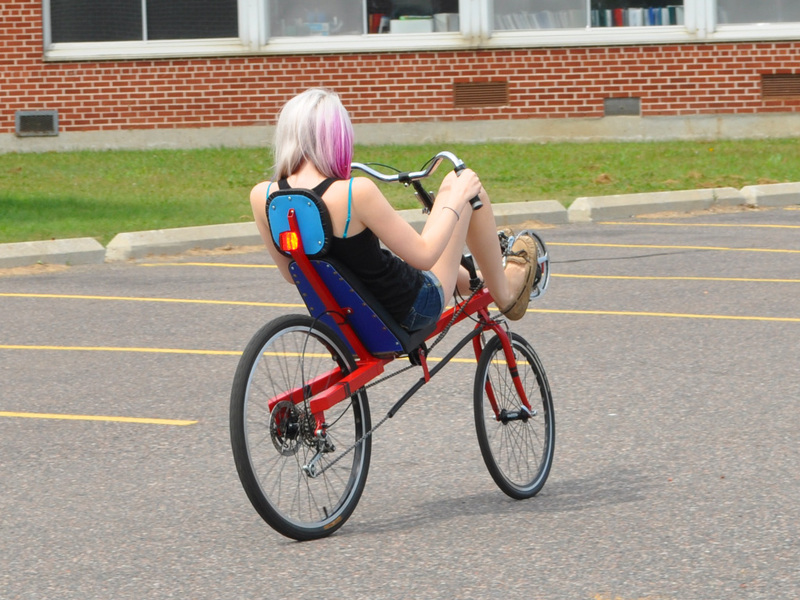 Your cranks can't hit the ground on this recumbent bike, so you can just keep on pedaling as you race into the corners. 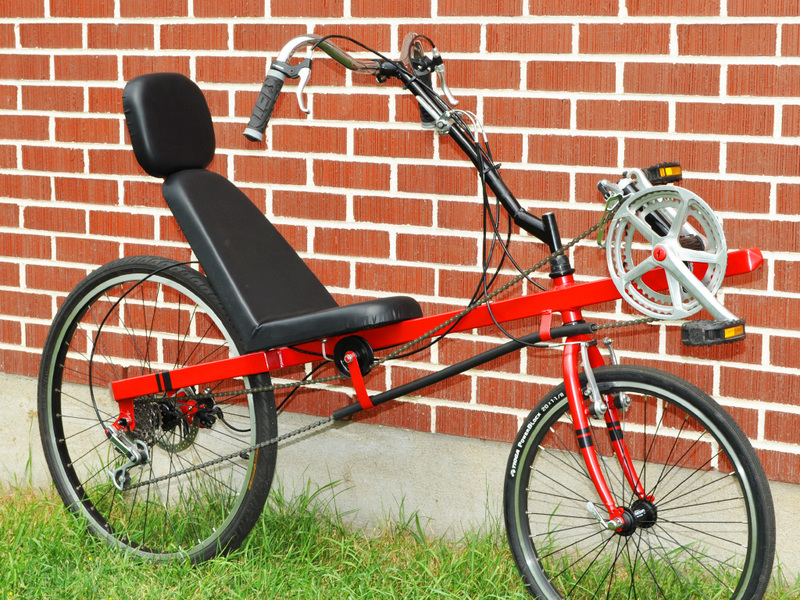 Recumbent bikes are known for their speed, comfort, and handling, and the Spirit is a perfect example of all three. You can ride for hours on the laid back comfortable seat, and you can enjoy the view without having to bend your neck, making this bike a great commuter. The square tube frame is very easy to cut and weld, and it is described in great detail from beggining to end in our photo intensive plan. This DIY plan is a good start for those just entering the bike building hobby. Yeah, I Built This Cool Bike From Scratch! The finished bike looks so good that you may have to show photos of the build just for proof that it was home built. Nothing beats the feeling of riding a fast recumbent bike that you built in a few weekends with minimal parts and tools. The Spirit Recumbent Bike doesn't take up any more room than a regular bike, so you can store it or move it on a carrying rack like any bicycle. The frame is fully customizable for riders of any size, and you are free to add your own modifications for a truly custom ride. The design allows the use of many different styles of seats as well. Easy to Ride and Efficient at Any Speed. Push hard into the pedals, and your back will press into the seat for maximum human power delivery. Put your legs into overdrive and get a great workout! Recumbent bikes offer many advantages over upright bikes, such as comfort, efficiency, aerodynamics, and handling. The Spirit DIY Recumbent bike is well rounded for any type of riding from long commuting to fast treks through a crowded city street. All of the transmission components and steering parts are salvaged from an old bicycle, or they can be purchased new from any bicycle shop. This DIY bike can be built on a very minumal budget and in a short time. Over Seat Steering for Responsive Handling. Learning to ride a recumbent bike is easy, especially one with over seat steering as the position is much like that of a car. Once you are used to the responsive steering characteristics, you will be hitting the curves and corners at speeds not possible on a regular bike. The recumbent riding position also offers some aerodynamic advantage over the upright positions, so you may find yourself slowing down to allow your riding partner to catch up. The mono-boom frame is very easy to build, and it is made from basic mild steel tubing. You can easily salvage most of the parts and change the design to make use of the parts you already have on hand. We are big on recycle and reuse. This is a Great Bike For Long Haul Commuting. When you ride a recumbent bike, you get to look forward with a clear line of site during your long journey. There is plenty of room for a luggage rack or saddle bags at the rear of the bike, so you can load up and head out for the long haul in comfort. Recumbent bikes also allow easy front mounting of a partial fairing so you can shield yourself from the environment if you plan on making long commutes. The sliding bottom bracket allows for easy adjustment of the cranks along the main boom. 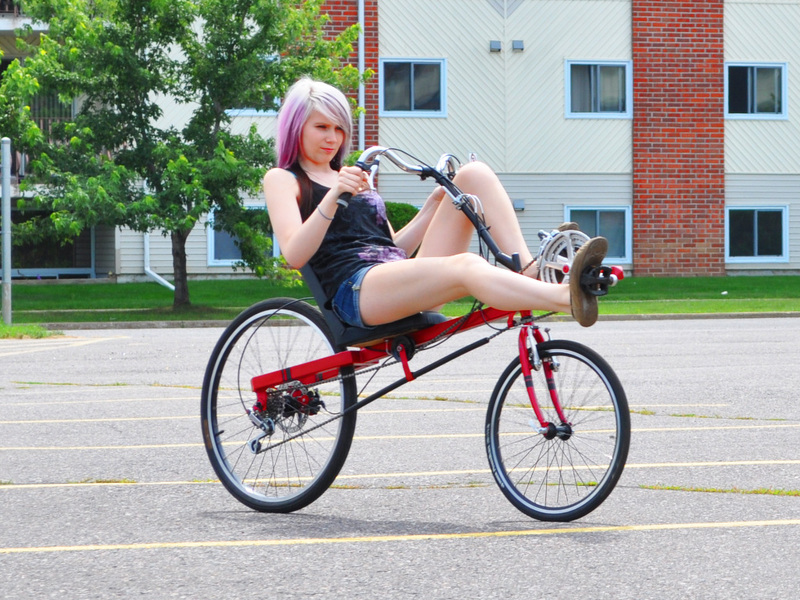 This Spirit DIY SWB Recumbent Bike can adjust to riders of any leg length by simply moving the position of the bottom bracket. Simplicity and Efficiency With Great Style. 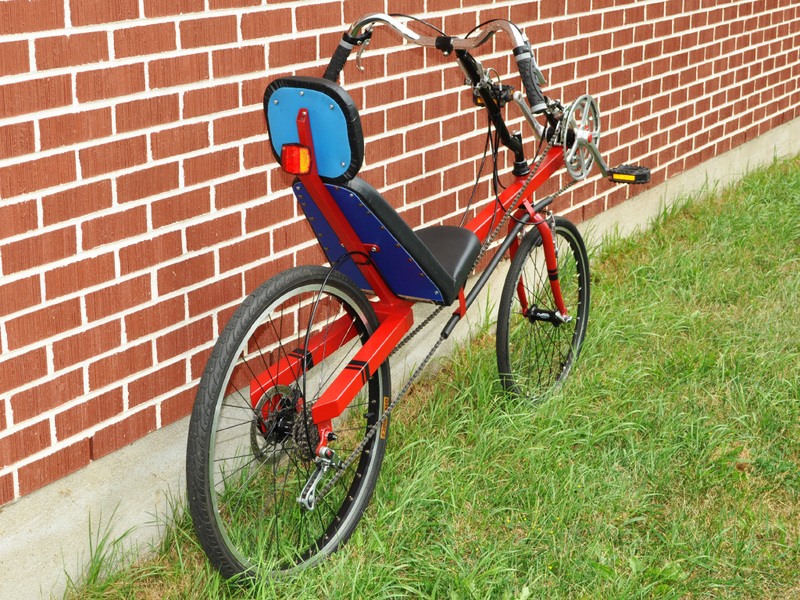 A spray painted DIY recumbent bike can certainly look as good as any factory job, and it doesn't have to cost a lot. Take a few feet of steel tube, an old road bike, and transform it into something amazing that will last you a lifetime. Nothing beats the satisfaction of saying "I built it! 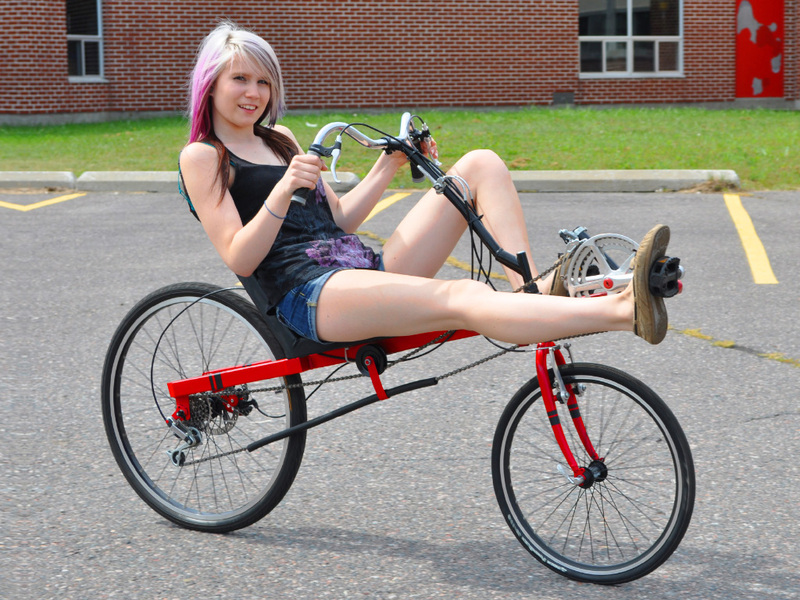 ", except for perhaps the moment you pass an upright bicycle on your DIY recumbent bike! 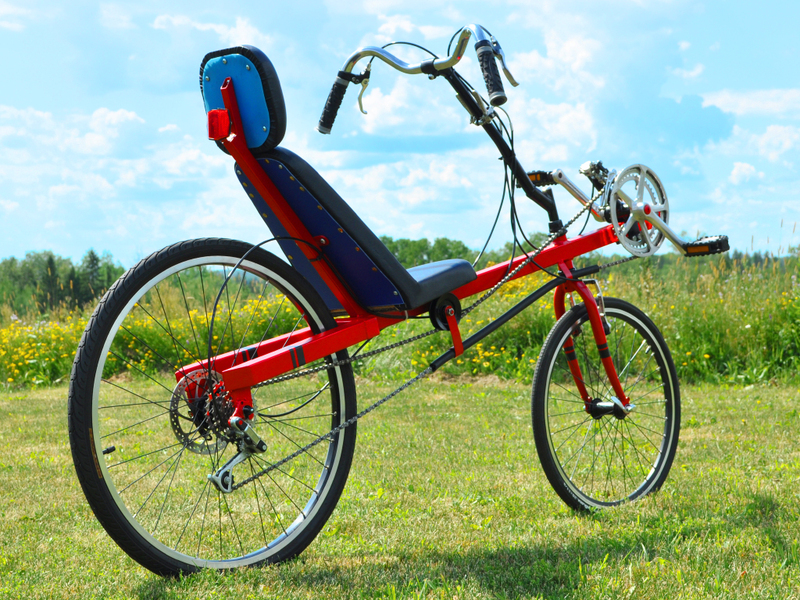 Our plans are not "blue-prints" with a "cut here" attitude, they are detailed step by step instructions that allow anyone to succeed at building a great looking recumbent bike like the one shown here. No experience necessary, and only basic tools required.